I had an interesting start to 2013. A friend of mine posted on Facebook that she was looking for someone to drive some basset hounds from Arlington to Baltimore on New Year's Day. It just so happened that I was planning on visiting some friends at Johns Hopkins around that time anyway, so we worked it out. And that's how Mabel, Honeychild, and Glenda showed up on my doorstep on New Year's Day. It all started on Christmas Eve. A desperate email at 2pm about 7 Basset Hounds that were going to be killed in a shelter in Hattiesburg, Mississippi at 4pm. A breeder could no longer afford to feed them or give them vet care and had dumped them in an overwhelmed rural shelter already 50 dogs past their limit. We couldn't let them die - especially not on Christmas. We committed to them, knowing that four were Heartworm positive and they were all older than the 5 years the breeder had claimed. 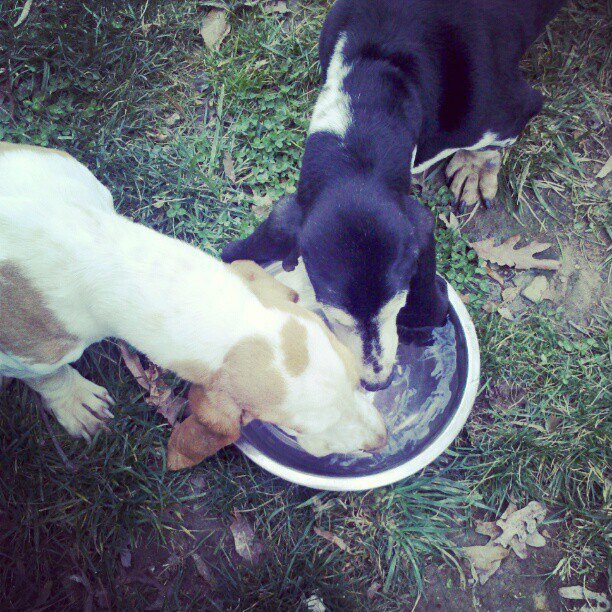 In spite of their poor condition, all three puppies were incredibly sweet and gentle. They were also old, tired, and very sick--between the three of them, they have heartworms (all of them), a serious dental infection, pneumonia, hernias, and a mass on a spleen. Not to mention needing to put on lots of weight. Sick or no, they all still have plenty of spark left in them. During their pit stop in our backyard, all three of them ran around and played with Rowdy and Millie's toys. 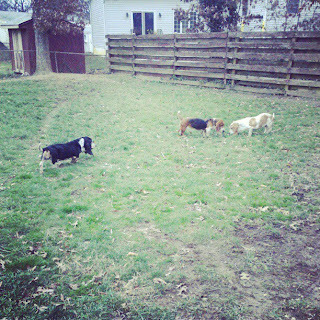 (Seriously, you haven't lived until you've seen three basset hounds running chasing the same ball around the yard.) These dogs are spunky. These dogs have a lot of life left in them. Glenda, Honeychild, and Mabel and the rest of the Hattiesburg 7 need your help. Between them, they need thousands and thousands of dollars in medical care, even after receiving reduced-cost treatment. 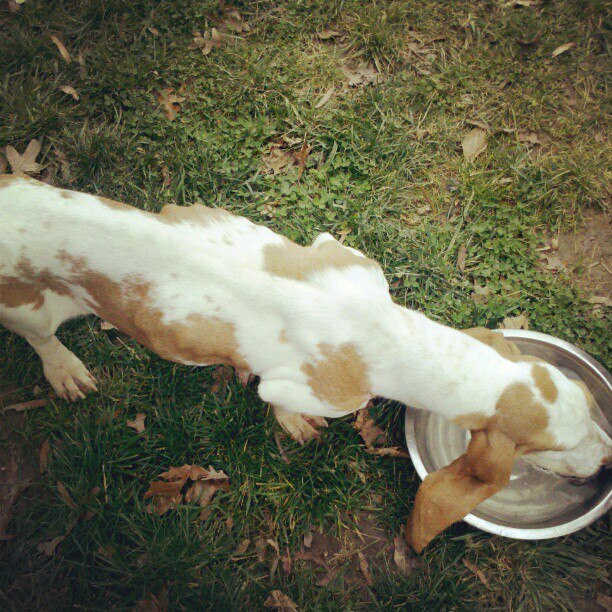 If there's any way you can help, please donate to the Tri-State Basset Hound Rescue to help with their care. Their full story and more information on their medical needs is on the Hattiesburg 7 donation page, here. Every little bit helps, and these guys deserve a shot at being happy and healthy once more.